We are seeking support from our local farmers to procure key ingredients to be featured at our 2019 "Farm to Table Dinner" Event. This year's delicious, locally made and locally sourced meal will be prepared by Chef's Catering. Please contact us if you want to participate. If you haven't made your reservations yet, do so now before they are sold out! You only have this much time before the Farm to Table Dinner. Make your reservations NOW. 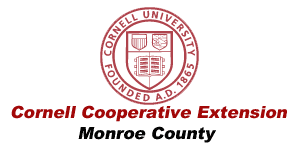 Monroe County Farm Bureau's "Farm to Table Dinner" event is our annual celebration of local Agriculture. Enjoy dinner grown by local farmers and prepared by local chefs. Get to know your neighborhood farmers. Proceeds support our scholarship fund and support the promotion and to education of Agriculture in our community. The Heritage Farm and Pioneer Farm Awards will be presented. Get your dinner TICKET(S) now! $30 at the door if they aren't sold out! Purchase on-line by clicking HERE. We are seeking sponsors for this celebration and ask that you consider supporting us in this endeavor. You can download our letter with details of the sponsorship opportunities. The event is all about bringing people together in the community while enjoying dinner grown by local farmers and prepared by local chefs. Join us for some delicious, locally grown food and get to know your neighborhood farmers. Proceeds from the event will be used to support a scholarship for a graduating high school senior entering a college agricultural program and to further our efforts to educate the community about agriculture. Your sponsorship will help make this happen!